Opinion article questions the efficacy of IMF and World Bank policies in the developing world. The International Monetary Fund (IMF) and the World Bank are the major cause of poverty in African countries today. Despite claims that they will reduce poverty in Africa, it is widely accepted that most of the debts, as a cause of poverty in Africa, are due to the policies of the International Monetary Fund (IMF) and the World Bank. Their programmes have been heavily criticized over the years because they most times result in poverty scenarios. The IMF and the World Bank’s polices are very different now from what they were originally intended for. These two monetary institutions were first formed by 44 nations at the Bretton Woods Conference in 1944 with the goal of creating a stable framework for the post-war global economy. The IMF in particular, was originally formed to promote steady growth and full employments by offering unconditional loans to economies in crises and establishing mechanisms to stabilize exchange rates and facilitate currency exchange. Much of these visions never came to reality. Pressure from the US government made IMF start offering loans based on strict conditions. Critics have said that these policies have reduced the level of social safety and worsened labour and environmental standards in developing countries. The World Bank, initially known as the International Bank for Reconstructions and Development, was formed to fund the rebuilding of infrastructure in nations ravaged by World War II. Its focus soon changed in the mid 1980’s. 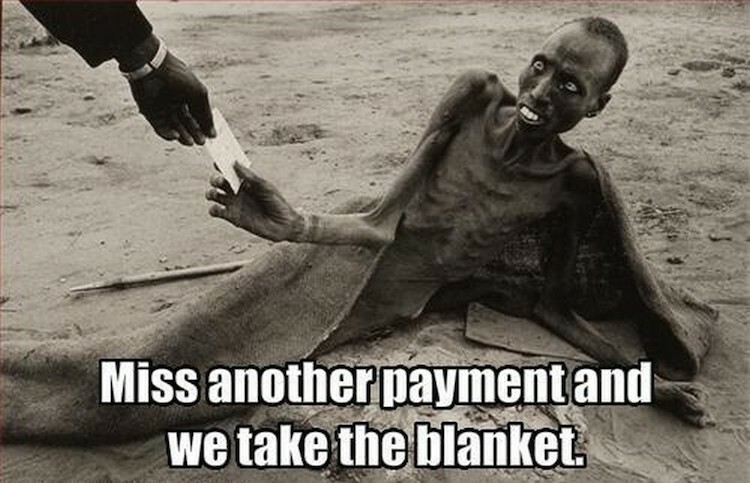 The Bank turned its attention away from Europe to the third World countries, most of which are in Africa. It started funding massive industrial development projects in Africa, Asia, and Latin America. Critics say that IMF policies have reduced the level of social safety and worsened labour and environmental standards in developing countries. Most Scholars and human rights activists contend that the Bank’s aggressive dealings with developing nations, which were often ruled by dictatorial regimes, exacerbated the developing world’s growing debt crisis, devastated local ecologies and indigenous communities. The World Bank and IMF adjustment programmes differ according to the role of each institution. IMF’s loan conditions focus on monetary and fiscal issues. They emphasize programmes to address inflation and balance of payment problems, often requiring specific levels of cut backs in total government spending. The adjustment programmes of the World Bank are wider in scope, with a more long-term development focus. They highlight market liberalizations, seen as promoting growth theory expanding exports particularly cash crops. The IMF and World Bank are largely controlled and owned by the development nations such as USA, Germany, UK, Japan, amongst others. The US for example controls 17 to 18% of the voting right at the IMF. When an 85% majority is required for a decision, the US effectively has veto power at the IMF. In addition, the World Bank is 51% funded by the US treasury. Under a plane devised mechanism the World Bank and the IMF loan money in return for the structural adjustment of their economies. This means that economic direction of each country would be planned, monitored, and controlled in Washington. For instance, the World Bank assistance for helping a poor country involves, country by country investigations with a meeting of begging-Finance Ministers who are handed a restructuring agreement pre-drafted for voluntary signature. Trade liberalization can lead to dumping of cheap and substandard products from outside. This undermines local industries that produce or intend to produce the same products. According to James Sackey, former World Bank Country Representative in Sierra Leone, these instructions include privatizations, trade liberalization, high interest rates etc. Trade liberalization for under-developed economies could have some serious attendant effects. For one, it could lead to dumping of cheap and substandard products from outside. Such items as clothes, shoes, creams are just amongst many others that flood markets in developing economies. This undermines local industries that produce or intend produce the same products. Africa’s infant industries fail to take off under extensive trade liberalization. This is also very critical with respect to imported food such as rice, wheat, milk, amongst others. Developed countries which have excess of these food items reduce their prices and export them to Africa as a way of getting rid of them. If such situations were not conditioned, Africa would never be able to produce its own food. Privatization, on the other hand, and its effects on government enterprises that do not function well cannot be challenged. But wholesale privatization of everything that is government owned cannot also be justified. In any case, there are few difficulties such as the limited indigenous business to take over government enterprises; the shortages of local private capital to pay for the running cost of privatized enterprises and the greater importance of the services to the people of some enterprises as compared to being profitable. What often happens is that it is the so-called soft sectors of education, health, and housing amongst others that will suffer from the cut in government expenditure. Also high interest rates increase the incentive to save money, but they also encourage speculative investment that brings quick paper money profits to a few people while adding nothing to the productive capacity. High interest rates and high credit also make capital to start new business get difficult to come by. Therefore, they result in stagnation. Again the cut in government expenditure in some cases could be necessary. However, what often happens is that it is the so-called soft sectors of education, health, and housing amongst others that will suffer from the cut in government expenditure. Most governments do not reduce expenditure on the army or on their non-productive and unnecessary areas. The result is that cut in government expenditure ends up harming the welfare of the people. Another very important factor is the devaluation of currencies which is supposed to increase self sufficiency by making imported products more expensive and African exports cheaper. Since most African countries do not produce these products, it is not possible to replace them with locally produced ones. On the other hand, most of the countries that buy African products have set certain amounts on how much can be imported or have fixed prices in foreign currencies to shelter their own products, even when they become cheaper in local currencies, do not necessarily gain new outside markets or earn more foreign exchange.